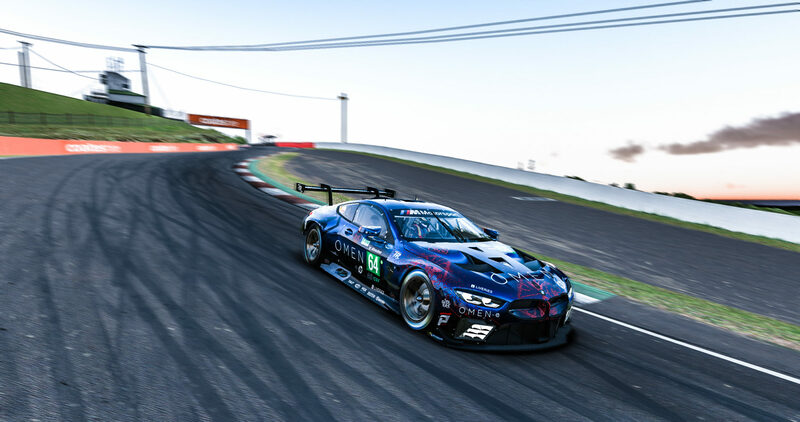 The learning and adaptation process of the new BMW M8 GTE continued this week, posing challenges as the North-American track of Watkins Glen for the IMSA championship and the Temple of Speed, as we are used to call Monza, for the Le Mans Series & Endurance Le Mans series championships. 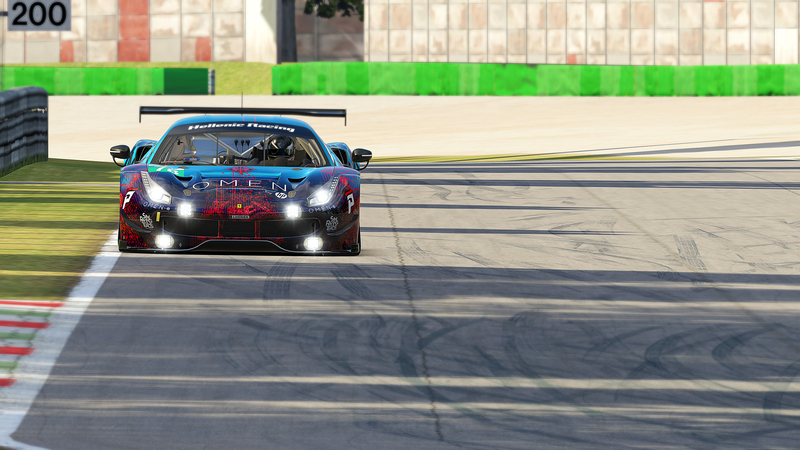 The mid-week BoP (Balance of Performance) tipped the existing balance, rendering this specific car a tad less competitive against the competition at both tracks that we were interested in. The preparation time was distributed at the individual races of the team-members at Glen and Monza, until the arrival of the first 6-hour race of the season. 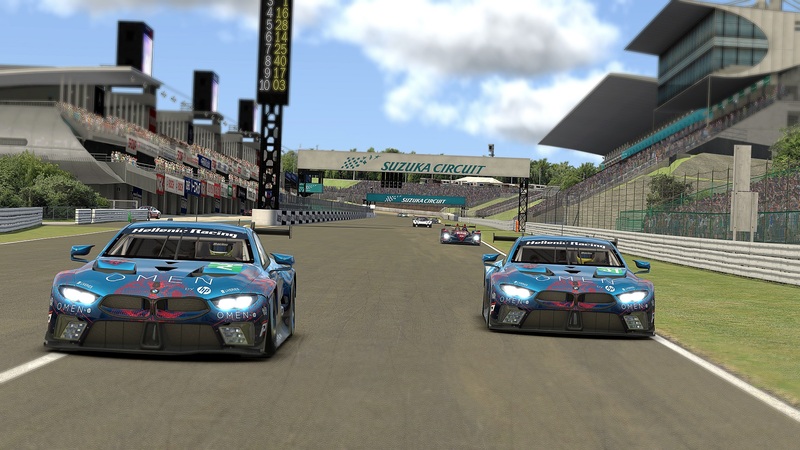 It is Saturday morning and Hellenic Racing Silver team, consisting of Andy Perrs – Nick Koudourakis – Dimitrios Houdeloudis and the shimmering German, takes its place in the starting grid at the 10th place. A conservative first hour, aiming to keep the car in one piece as everyone seemed to be in a hurry to “win”. The team maintained a steady pace in combination with the essential fuel-save in order to avoid the extra pit-stop, which led us to a 4th place finish, very close to a podium position. On the Saturday night race we participated with two teams. Nestoras Kiosoglou – Vasilis Kazantzas in the Ferrari for Helelnic Racing Blue and Andy Perrs – Nick Koudourakis – Dimitrios Houdeloudis for Hellenic Racing Silver. The teams started 6th and 16th in the grid respectively. Maintaining a very fast pace the Ferrari drivers found themselves in 2nd place shortly after the race start and they managed to climb to 1st two hours before the finish, thanks to the abandonment of the race leaders, which they maintained, granting them a well-deserved 1st place finish. The BMW team, after avoiding all the drama and the tough times, achieved a quiet climb in 10th. On Sunday in the last race of the weekend, Hellenic Racing Silver, with Andy Perrs – Dimitrios Houdeloudis on the wheel, started at 21st and after a very concise race brought the car home in 6th. Looking forward for the future and anticipating tracks that suit the BMW better, we thank our sponsors, always supportive in our efforts.